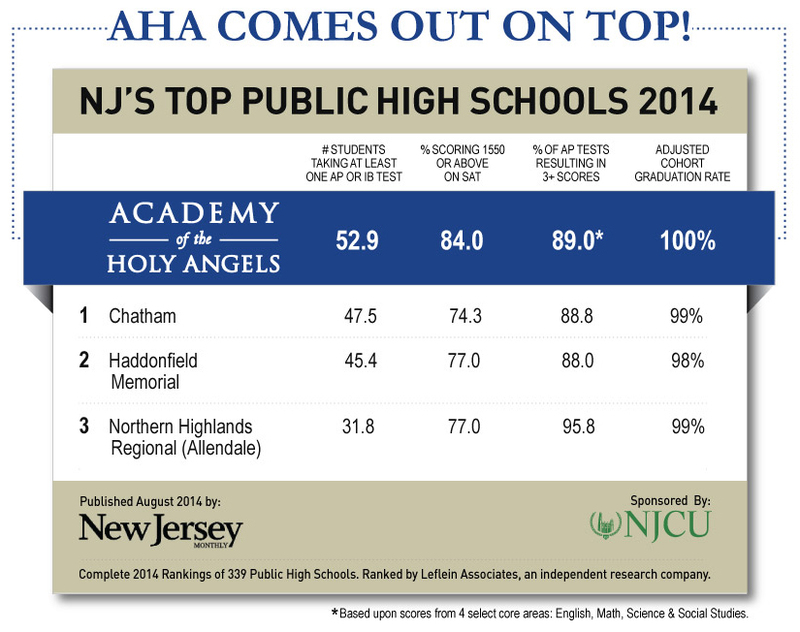 In August 2014, NJ Monthly magazine published its ranking of the top public high schools in the state. While the formulas used by the independent research company, Leflein Associates to calculate the ranking were not made available to us and were based on data from 2012-2013, Holy Angels calculated its own ratings based on the academic categories that apply to our school. The amazing results are captured below.